One of the most important aspects of our packing is a beauty product. My first priority to choose light weight products whenever I plan a trip, like most of us I too have a same overflowing handbag problem. 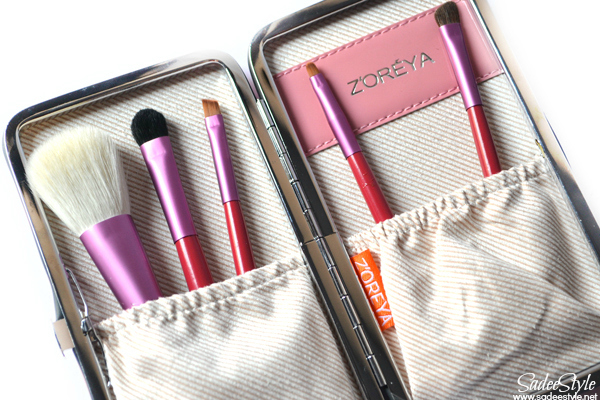 Since makeup brushes are must have product in my travel essential I always wanted to have a light weight travel makuep brushes kit that can fit in my handbag and don’t take up too much space. I was not familiar with zoreya brand until I saw the range at Jollychic.com. It was so cheap though I liked the size and packaging, but was confused to decide whether should i order it or not, but as it was only priced 6 dollar so I decided to give it a try. 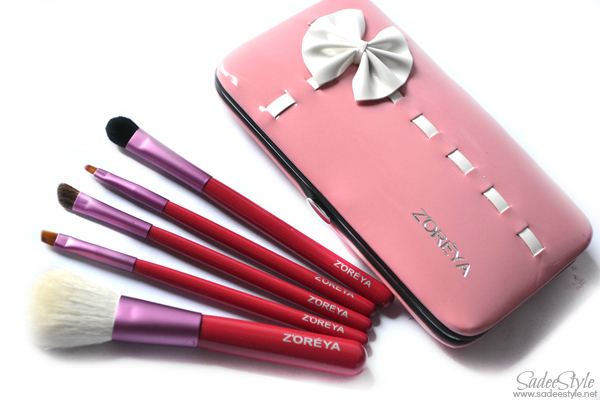 This set includes five most essential makeup brushes which comes in a strong and sturdy metal case with beautiful bow on. These are small in size and light in weight. 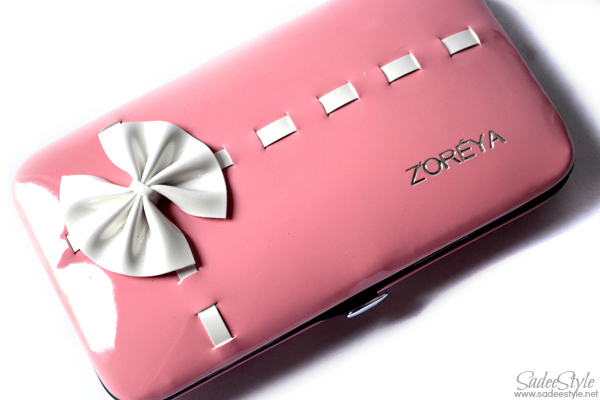 It designed to keep in your handbag while travelling. I appreciate the fast shipping service by Jollychic. I found a kit quite small from my expectation. However, it's more good that I can keep it in my pocket too. I instantly liked the strong and sturdy metal case. If you can pay attention to the images above, There is a metal button to open the case and inside there are around five most essential makeup brushes. Since my concern was to get good quality travel brushes so i was a bit conscious about the softness and quality of the brushes and amazingly its way too good from my expectations. It's the same as the sigma one. All brushes are super soft you can compare with any high end brand. While ordering I never imagined about the quality would be as great. It includes a blush, lips, eyeliner, eyeshadow and a blending eyeshadow brush. It become my number one essential kit while travelling. It's not just beautiful plus handy and I like each and everything about this kit. 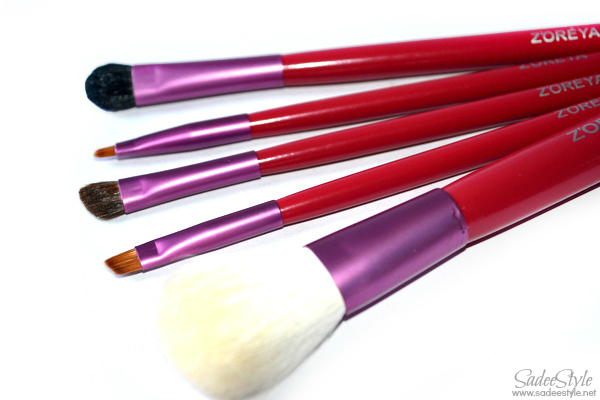 Has all essential makeup brushes one need. High quality super soft brushes. They is no bristle fallout problem. I've never heard of the brand before but the casing is really nice! (I thought it was a phone casing, haha) If they're even half as good as the Signma brushes, this is a total steal! Such a lovely packaging..very adorable..